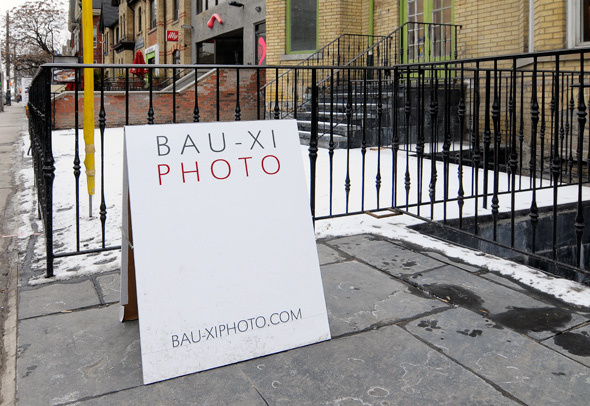 Bau-Xi Photo is a recent addition to the Toronto photography scene. 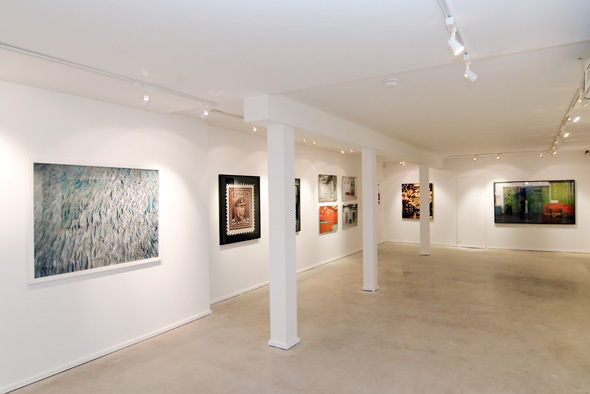 Located just steps away from Bau-Xi Gallery -- which exhibits art in a variety of media -- it's a beautiful space with a promising roster of artists. 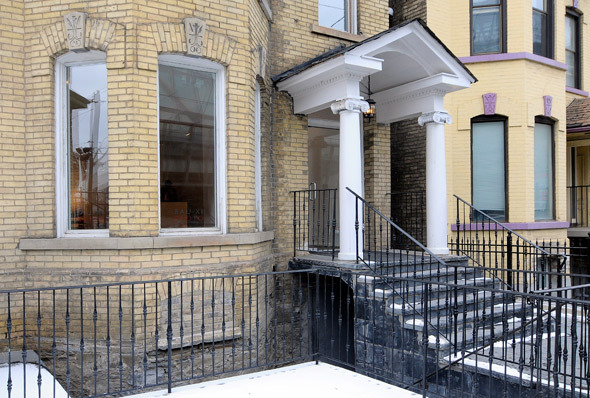 The gallery opened a month ago in what was formerly a rooming house across the street from the AGO. Now a heritage site, one of my first thoughts upon learning its history is that housing an art gallery is really the perfect fate for historic buildings of this nature. Although nothing in particular stands out about the Victorian-era building -- except perhaps the gorgeous hardwood floor -- it just seems like the right fit for an exhibition space. Given the number of artists on the roster at Bau-Xi Gallery and the explosion of photographic talent in Toronto and beyond over the last 10 years or so, owner/director Tien Huang decided that a space dedicated specifically to photography would be an excellent supplement to his other galleries in Toronto and Vancouver. And judging by the current roster, he was absolutely right. 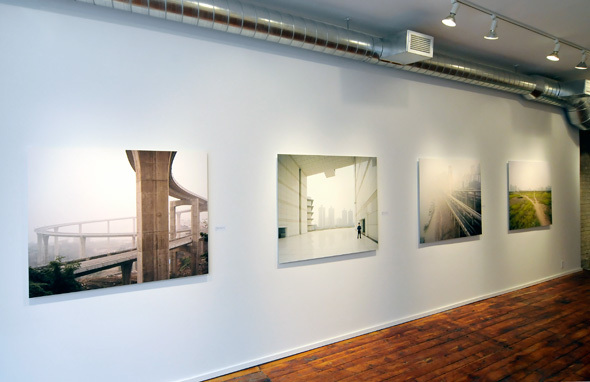 Featuring international artists like Ferit Kuyas (whose work is currently on display) and Toby Smith alongside Toronto-based talents like Eamon McMahon and Joshua Jenson-Nagle , Bau-Xi may already be the premier destination for fine art photography in the city. That's not to take away from photo-specific spaces like TPW and Gallery 44 , but it's important to note how established the current roster artists are. Although there's some ambiguity surrounding terms like "emerging" and "established," I tend to think that artists who've had multiple solo exhibitions and whose work has appeared in major publications are very much the latter, and that's who you'll find here. So, if you're a starving artist looking to decorate your studio apartment, you won't be making any purchases at Bau-Xi Photo, at least until you sell your first 99 Cent . But, having said that, you can rent some of the work on display and it's also pretty spectacular merely to look at. Despite the current roster of successful artists, the gallery has certainly not turned its nose up at those at the outset of their careers. The talented photographer Robyn McCallum serves as an associate curator at the gallery, and her and Huang encourage artists to submit proposals for gallery representation. For now, the roster totals out at nine photographers, the work of whom can been seen in the second exhibition area in the basement. This is a luxury afforded by the vast amount of exhibition space Bau-Xi Photo enjoys. 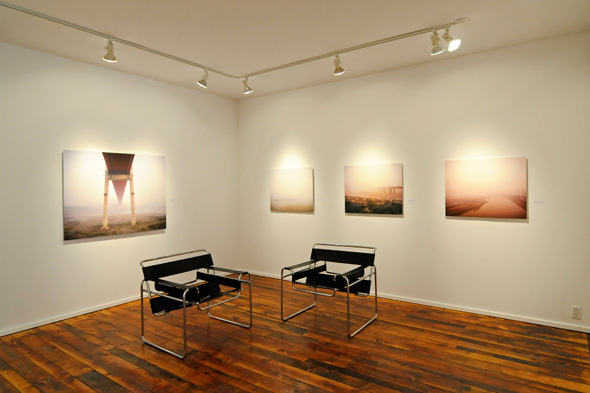 With 2400 square feet combined between the main floor and basement, the gallery can run solo exhibitions on the one and group shows in the other. Although no one style of photography is privileged over another, I get the sense that large scale prints are certainly favoured here. That, however, is as much a reflection of the photography scene in general as it is of Bau-Xi. It seems like 16x24" is the smallest size that it's acceptable to print these days. I'm not complaining, though. I absolutely adore the 40x50" prints in the current show, which offer different viewing rewards depending on one's distance from the work. With the roster expected to grow to 20-25 artists, this is definitely a gallery that photography lovers will want to keep an eye on. Bau-Xi Gallery has been a great supporter of Canadian artists since its first location opened in Vancouver way back in 1965. And with this more pronounced effort to represent photographers, I expect Toronto's already good photographic reputation to grow even more.